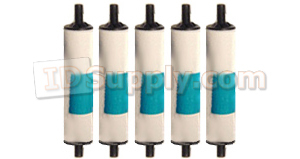 Zebra 105912-007 Adhesive Cleaning Rollers. For ZXP 7, P310, P320, P330, P420, P520, P720 printers. Set of 5.